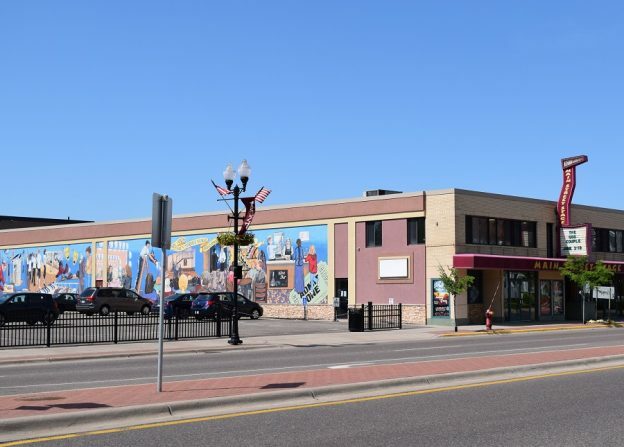 When biking down the Mississippi River Trail (MRT) or staying overnight in the Twin Cities Gateway Area, spend some time enjoying Anoka’s amazing art scene. Discover the art of biking between the Rum River Art Center and the Lyric Arts Main Street Stage. It’s the perfect stop along on the way. The Rum River Art Center has classes for you to “brush up” on your painting and other skills. These classes range from painting to clay, for a variety of ages. Bike over to the RRAC for one of the Adult Meditative coloring class. Or, if you are a Lord of the Rings fan, head over for Tolkien Tuesdays. Summer workshops are a great way to keep the kids entertained while teaching them art skills. 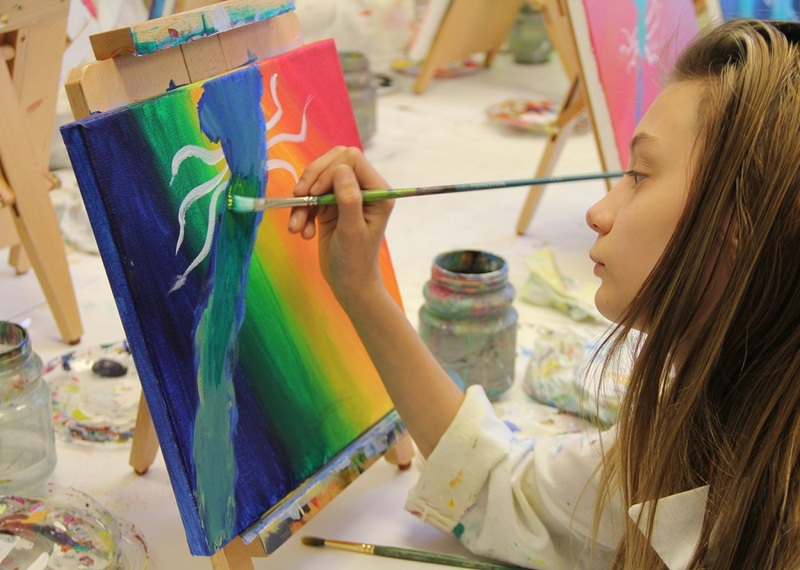 These art camps allow you, or your kids, to take classes on what you are most interested in. From animal drawing to Pokémon, polymer clay and even mosaic stained glass, everyone will have fun while making their artwork. 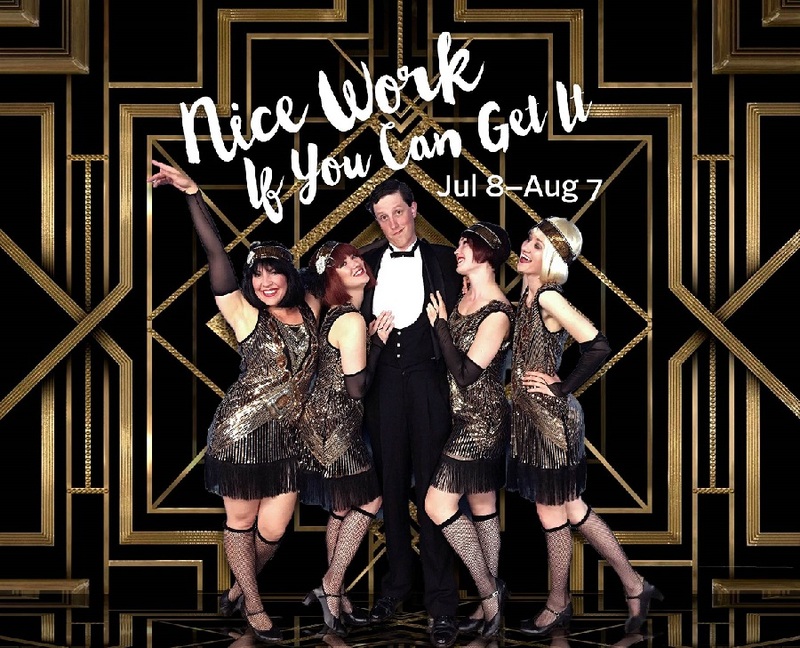 “Nice Work If You Can Get It” is now showing at the Lyric Arts Main Street Stage, in Anoka. The Lyric Arts Main Street Stage brings you a wonderful theatre experience right in downtown Anoka. Stop by to admire the mural on the side of the building. If you go on a Monday you can enjoy Anoka’s farmer’s market in the theatre’s parking lot. Love what you see on the outside of the building, then come back for one of their shows. Lyric Arts’ current play is “Nice Work If You Can Get It.” Along with theatre productions, they have several summer workshops on a variety of topics for all ages. From sketch and improv comedy to singing and dancing lessons, these workshops are great for kids during the summer or anyone wanting to get involved with theatre. Apart from theatre productions, Lyric Arts also has their “Music in the ‘Burbs” concert series. Relish an evening of music by local artists from around Minnesota on the Lyric Arts stage for an intimate concert. Some scheduled artists include Kat Perkins and Tonic Sol Fa. So bike on over to Anoka and get your fill of all things art. This entry was posted in News and tagged #FindYourNextAdventure, #onlyinMNT, Anoka art scene, Anoka MN, art of biking, Lyric Arts on Main Street Stage, rum River Art Center, Twin Cities Gateway on July 18, 2016 by Andrew Ellis.